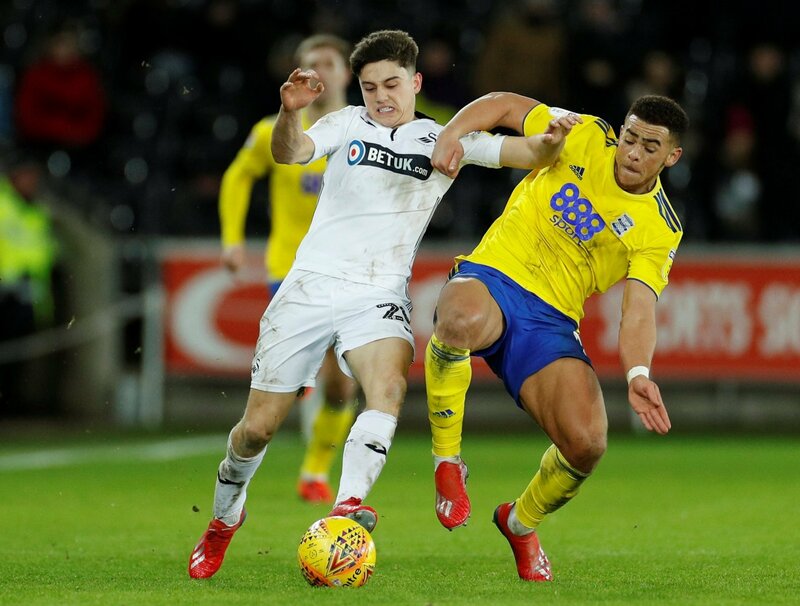 Graham Potter was quick to single out Daniel James after Swansea’s win over Millwall at the Liberty Stadium last weekend. The 21-year-old missed the trip to Ashton Gate two weeks ago to take on Bristol City but was back in the Swans’starting XI for the first time since his move to Leeds United spectacularly went bust. James had been at Elland Road for the majority of deadline day waiting for a move to Elland Road to be rubberstamped having told the Welsh side he wanted to move to the promotion contenders last month. Important documents failed to be signed and sent over to the EFL before the 11pm deadline, thus scuppering a move for the player who had had his heart set on the switch. Moving forward, James returned to action starting for the first time since the last-minute collapse and put on an impressive display in the win over struggling Millwall. Potter expressed after the game that James is ‘committed’ ahead of the mid-week meeting with a certain Leeds United. Marcelo Bielsa’s side were the better team in their draw with Middlesbrough last weekend, but they have lacked an attacking threat that James would have added to the mix had a move ben ratified. After Swansea’s win over Millwall, Potter singled out James for high praise that will surely irk the Whites’ supporters. “It was a Dan James performance, which is one of incredible effort,” he told the club’s official website. “He was explosive at times; he got the crowd on their feet. He gets hit and gets back up, he gets hit and gets back up, and worked to do his best for the team. I am sure this is still a sensitive subject for Leeds fans to come to terms with, and it won’t get any easier with the two clubs meeting this mid-week and James a certain starter for the Swans. It will be a case of ‘this is what you could have won’ when he steps out at Elland Road, but not in a Leeds shirt. James was on fire against Millwall, and if he can keep that form up against Bielsa’s side next time out, they will be spitting feathers at what might have been.